We got a cheer from the Dutch tourists. Later we got a round of applause from the French crowd. We were superhuman cycling in this heat. 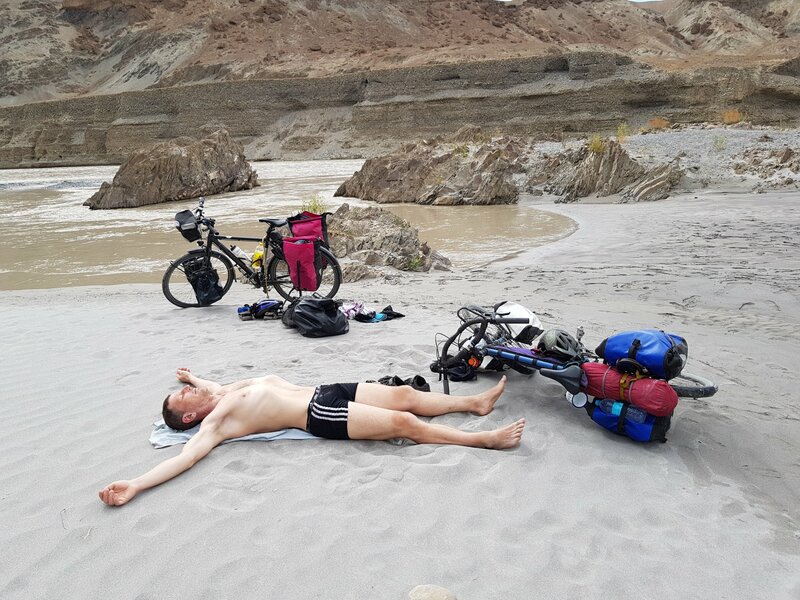 Little did they know we only cycled 5km to the river, swam, and lay on the sand. We don’t seem to get around to much cycling. After cycling alone for nearly a month, it’s nice to have someone to talk to. There’s also no goal of the cycling. We’re just killing time before our flights back home. 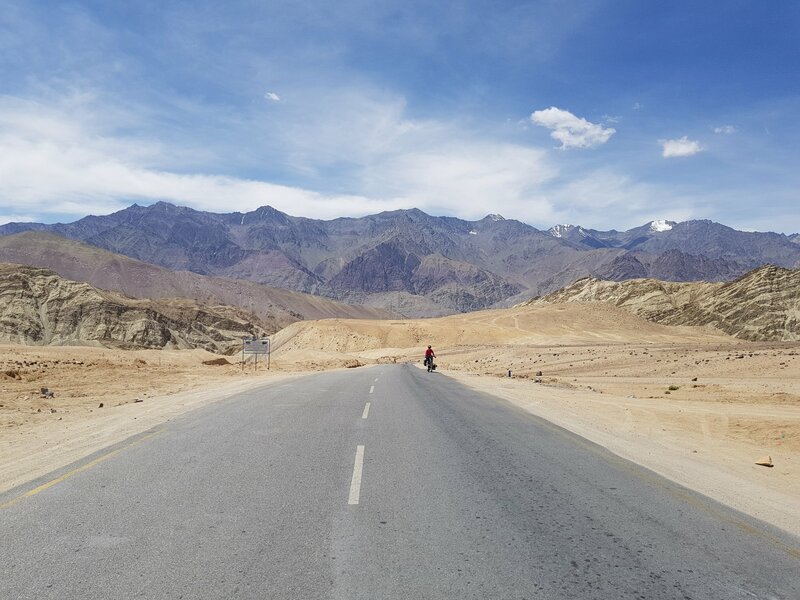 Tomorrow is Leh again, and then the highest road in the world – Khardung La. Thanks for the daily updates. Love to read it.